So first let me start by saying how much I truly believe in the power of play in my first grade classroom. When my kids come in to a room filled with hands on experiences, "toys", and games, learning instantly becomes less scary. When learning just seems fun, it happens more naturally. Of course, we can't just sit and play all day, standards need to be taught and expectations are high. Which means, I have to get creative on how I can make play a powerful part of our learning. Side note- This post contains affiliate links which provide me with a small commission, at no extra cost to you, should you purchase something through them. BUT, as always, I promise to never share something that I do not absolutely love using in my own classroom. 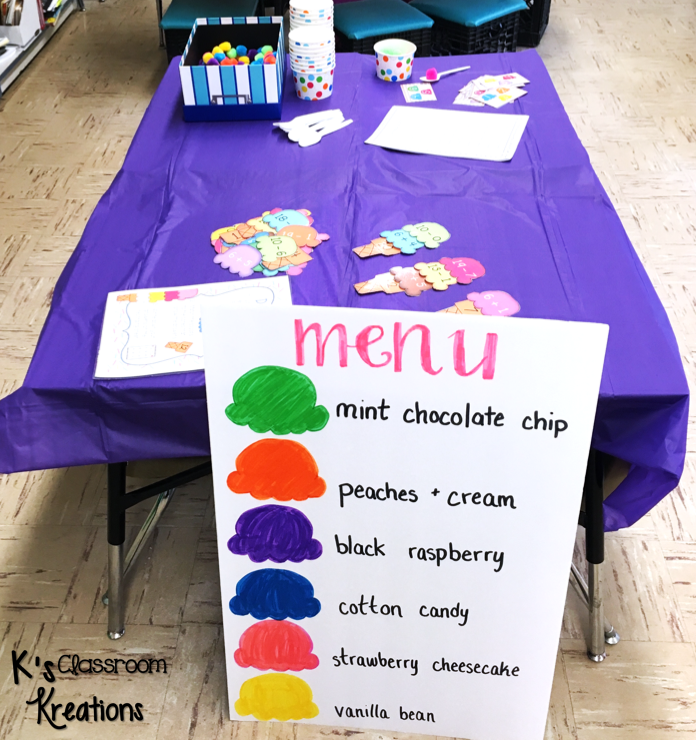 To set up for my Ice Cream Day I first gathered up a few ice cream themed activities, made a sign out of foam board, and bought tablecloths from a dollar store. I also sent home a letter to parents asking them to donate supplies/toppings so we could make real ice cream sundaes when we were finished. In first grade I feel like we are always practicing addition and subtraction! 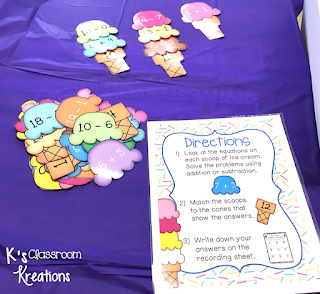 One of our math centers was this cute scoop and cone matching game. My kids have to solve the addition or subtraction equation and then match it to the cone that had the correct number. This helps them realize that more than one combination of numbers can equal the same thing. This game could also be recreated by simply writing equations on pieces of felt or cardstock in the shape of ice cream and cones. This next activity was super simple! 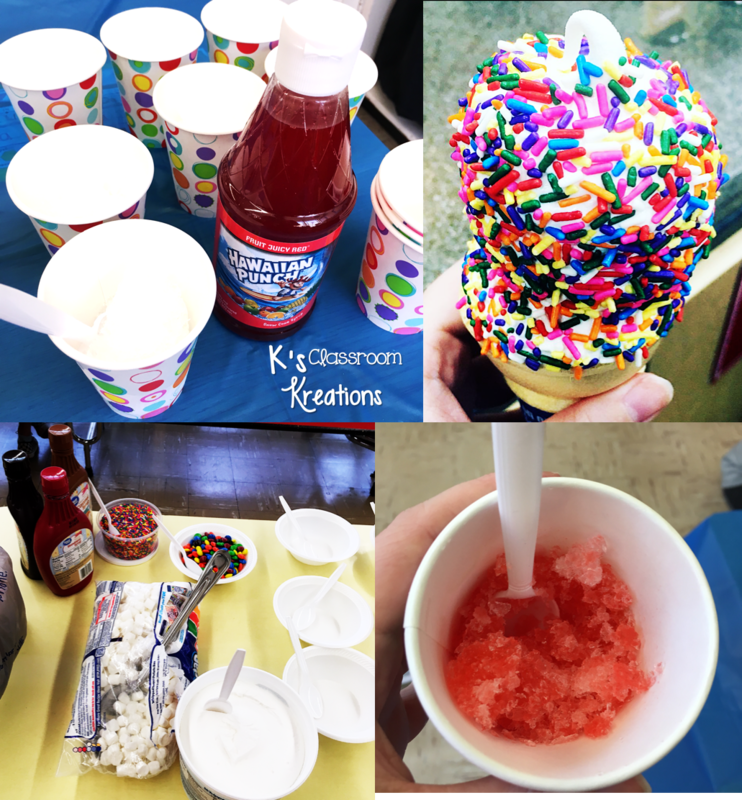 I bought a small package of mini ice cream bowls, printed out the materials, and dug out some neon pom-poms and plastic spoons I had stored in my classroom. My kids picked up one of the ice cream "orders" on the cards, and used a spoon to scoop that many "ice cream scoop" pom-poms into their bowl. They then counted all of the scoops to find the total and recorded it on their sheet. To download your own free copy of this activity, click HERE. 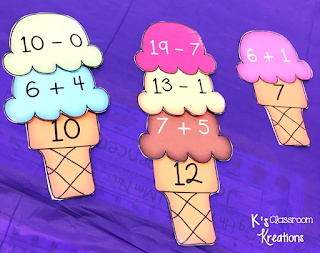 To stick with the ice cream theme, I also used my Skip Counting math center. To make this on your own, you could cut out construction paper scoops of ice cream and write numbers on them. Students simply match the scoop of ice cream to the correct cone. I love it because they can practice looking at the tens and ones to notice the place value pattern, or they can mentally add ten, both of which are first grade standards. Of course you can't have an ice cream party without actual ice cream!! Thanks to some volunteers, I was able to have each of my students make their own sundae (with my supervision of course!). Nobody has time for kids pouring chocolate syrup right into their mouths or anything crazy hah. I have found that it is easiest to do an assembly line process to make the sundaes or it can get a little chaotic. I started by scooping ice cream into each bowl. Then students went down the line and an adult (teacher assistant, myself, or volunteer) would add the toppings of their choice. We also had a snow cone maker similar to this one (just shaved ice and flavoring) set up. I decided against using it that first day due to timing and sugar high children, but we did enjoy our snow cones the next day. 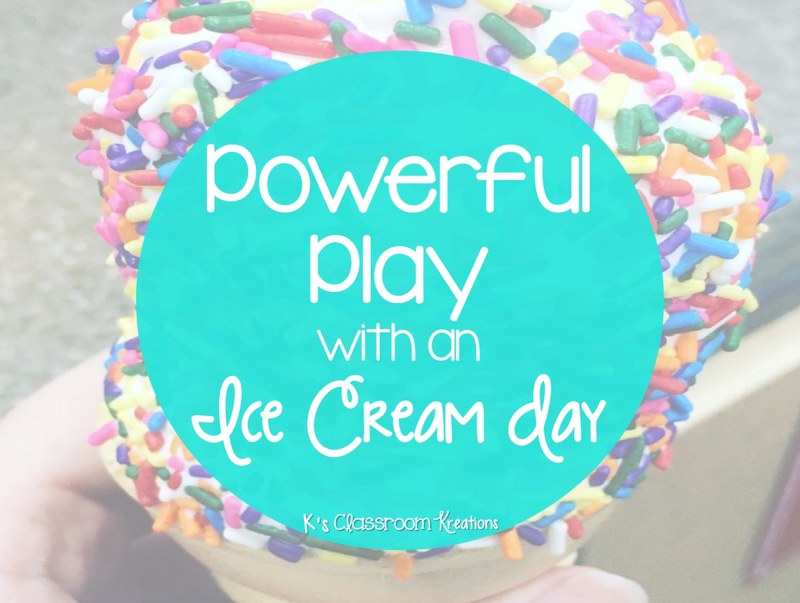 So just in case you need more ways to add ice cream into your day (I mean who doesn't right?? ), I've done a little more brainstorming for you! 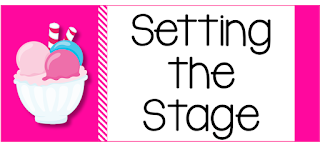 1) Dramatic Play- My kids love playing restaurant or store and one way to enhance this is with pretend food. I found this adorable ice cream set online that would be perfect! 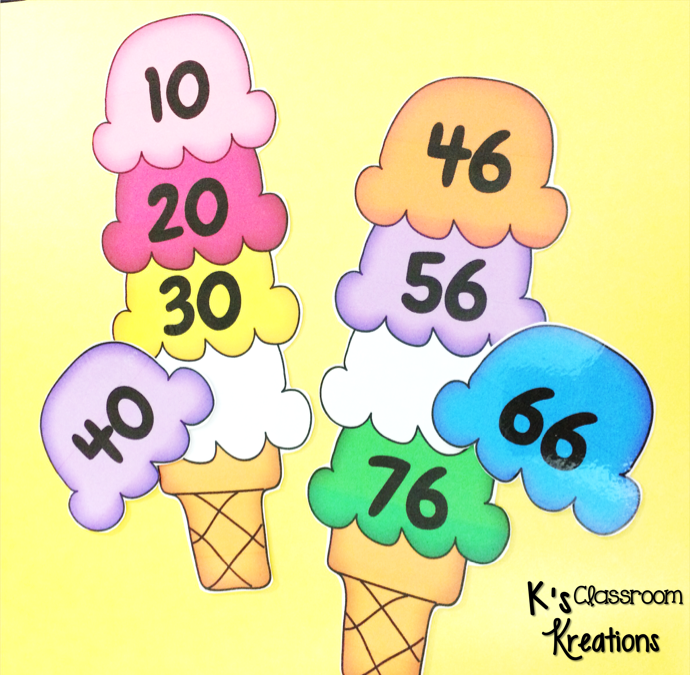 Have your students practice speaking and listening skills by pretending to be the Ice Cream Shop owner, or the customer making orders. If you're working on money skills you could also add prices to items and find out the cost of each "order"
get ready to do some of the shaking of the baggies because it takes a LONG time and lots of shaking- my kids got tired! Also, do it outside- sometimes the salt starts to make it drippy and the floors might get wet. 3) Opinion Writing- I like to use cute napkins as mini-books and have found some adorable Ice Cream themed ones in the past at Dollar Tree. I staple blank paper inside of them and have my kids write an opinion piece about their favorite flavor of ice cream, of course providing reasons why it is the best. 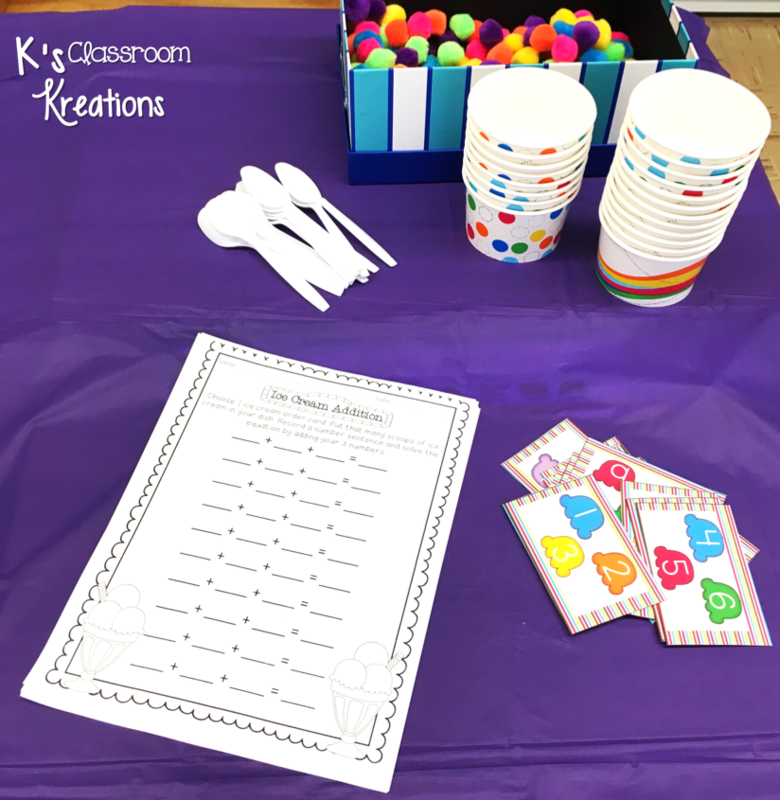 This activity could also be a group task by splitting your kids and giving them each a large piece of poster board or anchor chart paper. Each team has the job of convincing the other why their flavor/topping/ice cream shop is the best. 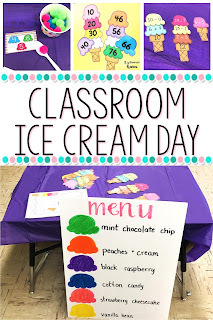 4) Literacy Connection- A great story to read on this day is Splat the Cat: I Scream for Ice Cream. 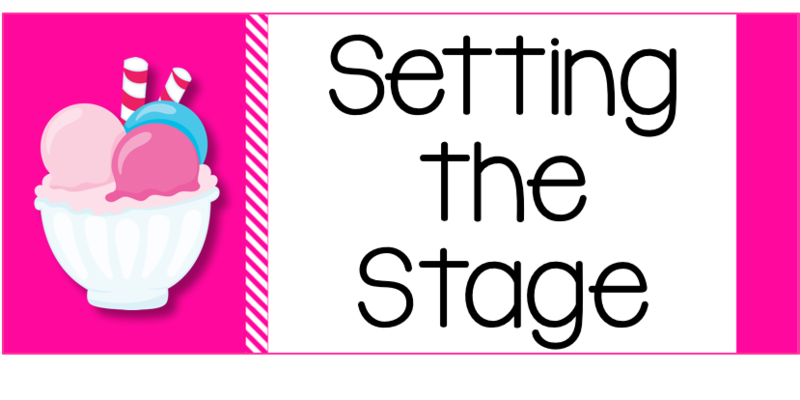 I love using my Elmo to project the story onto the board for all of my students to see/follow along with. There are many great examples of words with the Long E vowel team EA in this story. Whenever my students see/hear one they "scream for ice cream". Of course, it does get a little noisy but it certainly gets there attention while searching for the spelling pattern! I hope you have an amazing day (who wouldn't when it's full of ice cream!!) 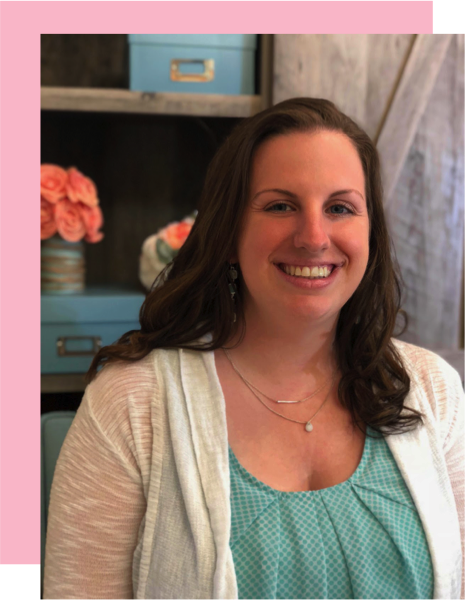 transforming your classroom and adding in powerful play based learning!